Our student Albina Ibragimova has received offers from all the schools she applied to. These included top schools for girls such as Badminton, Headington, Roedean, and several co-educational boarding schools such as Cheltenham College, Clifton College and Lancing College. UK Study Centre student, Albina Ibragimova from the United Arab Emirates, has received offers from all the schools she applied to. 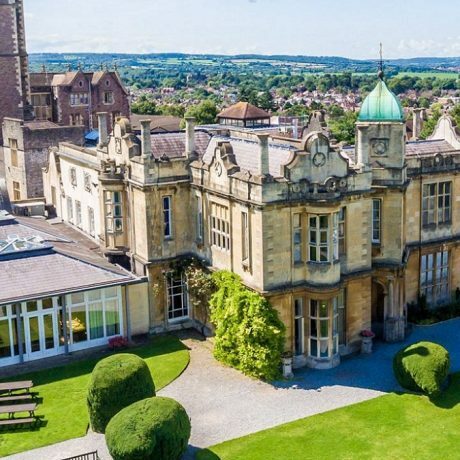 These included top schools for girls such as Badminton, Headington, Roedean, and several co-educational boarding schools such as Cheltenham College, Clifton College and Lancing College. Aged three years old, Albina began studying at the international school in Dubai. Albina and her family were never entirely satisfied with the level of education there. Despite her lessons being taught in English, the standard of teaching didn’t match Albina’s academic potential. Therefore, the family decided to move to London, allowing Albina the opportunity to apply for some top UK schools and eventually some of the best universities around the world. When Albina and her family moved to London at the end of the application season with many schools having already closed their admissions, UKSC stepped in to assist. With a great deal of hard work, we managed to register Albina for the best possible schools and prepare her for examinations. Despite Albina having been a top student in her school in Dubai, we identified very quickly that she had significant gaps in her curriculum knowledge for both maths and science. Therefore, we matched Albina with some excellent tutors who commenced intensive online tuition, covering all the new material she needed for her entry exams in a matter of months. She then passed all her exams remotely from Dubai and came back to the UK in March to see if those schools had decided to offer her a place. Albina and her family had some tricky decisions to make. Albina was accepted into several very good schools. She was surprised to learn that her first choice, a school that looked great in pictures and online, was not in fact as impressive in person. Once again, this highlights the importance of visiting a school before making any final decisions. Eventually, Albina and her family decided Badminton School was the perfect choice for Albina’s next step in her schooling career. UK Study Centre is delighted with this result and we are most pleased to have worked with Albina. We know that Albina’s dedication and diligent approach to her studies will see her achieve great successes and we wish her the best of luck at Badminton School.